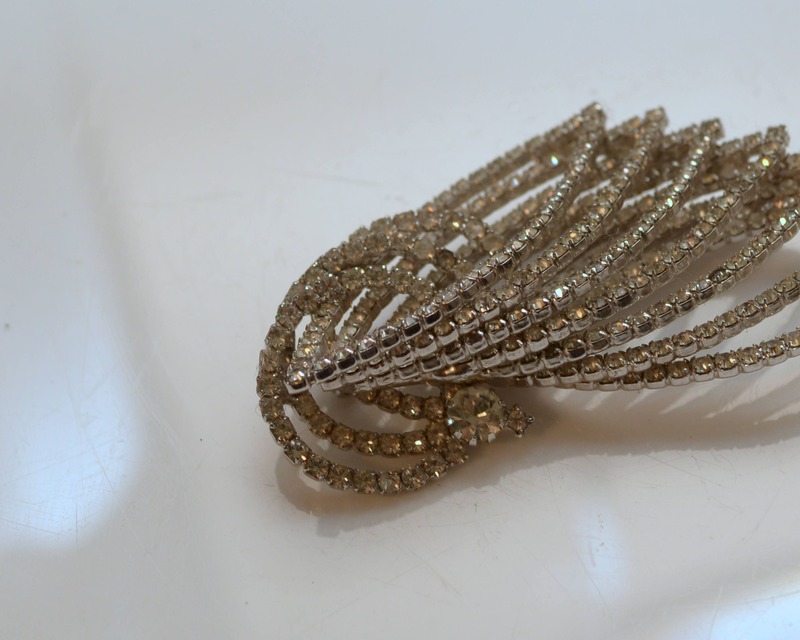 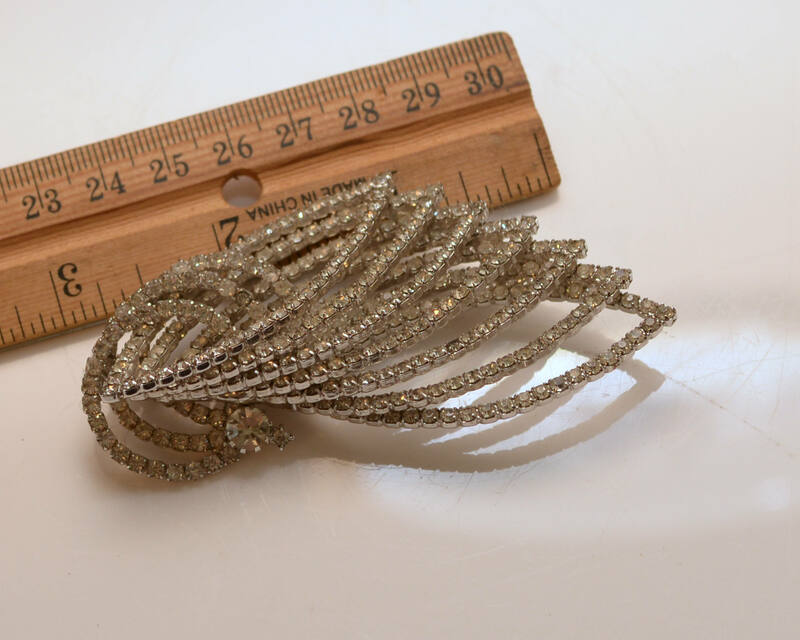 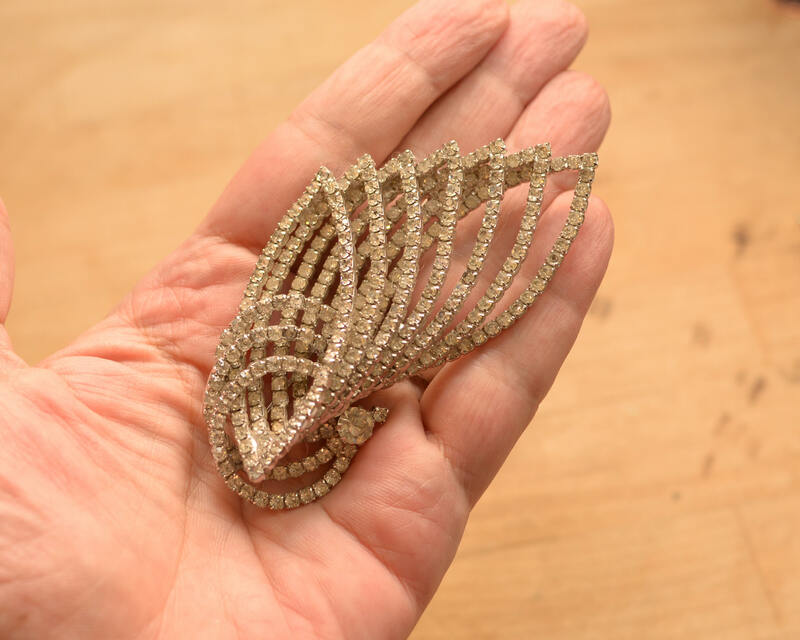 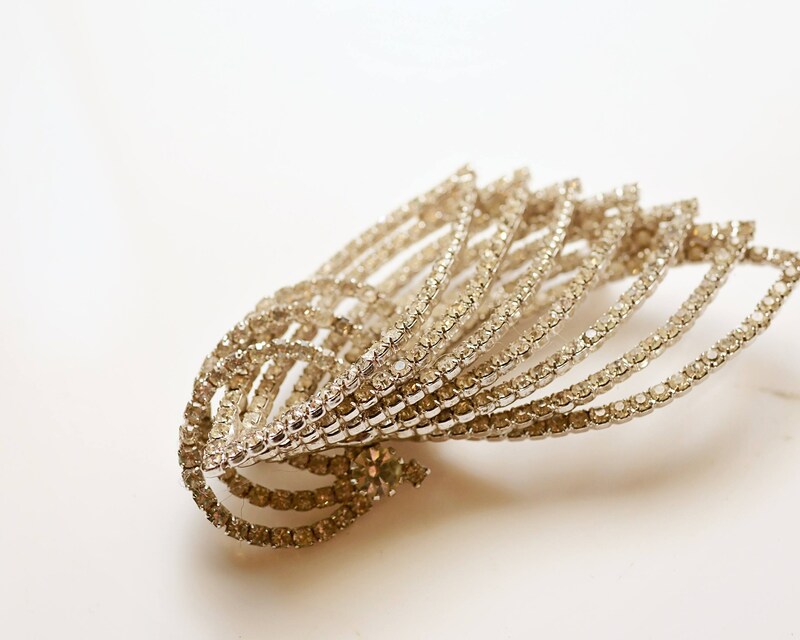 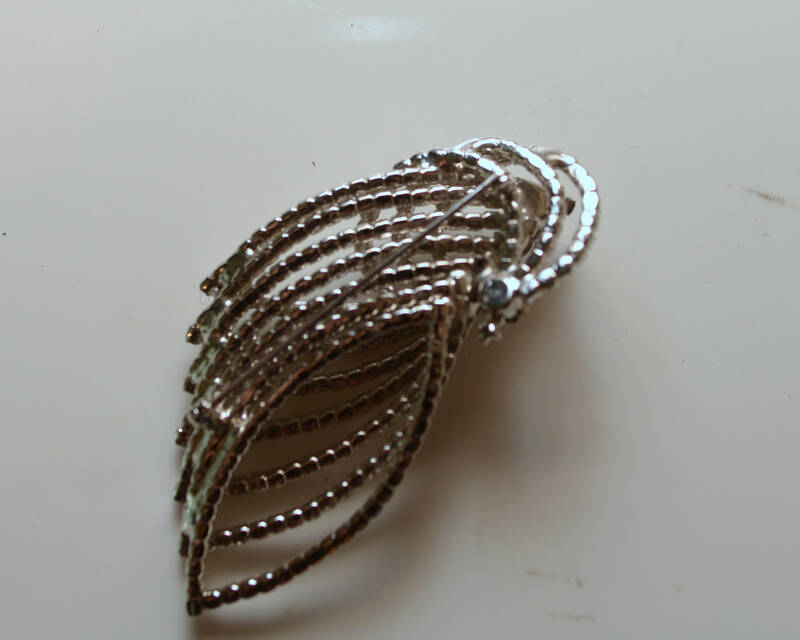 This is a beautiful pin, it reminds me of wings - large over 3 inches and I don't see any missing stones though there are so many tiny stones I may be missing something. 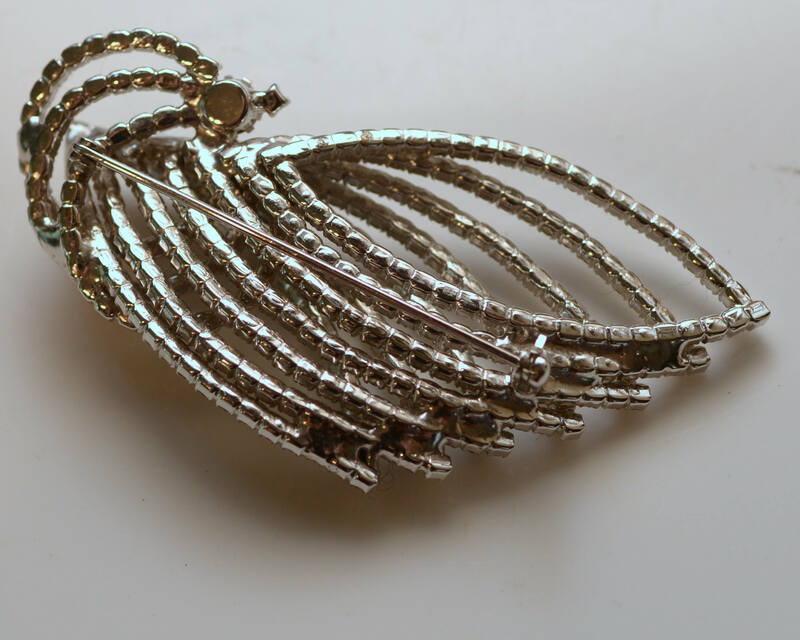 It has great sparkle, and no signature on the closed back set rhinestones. 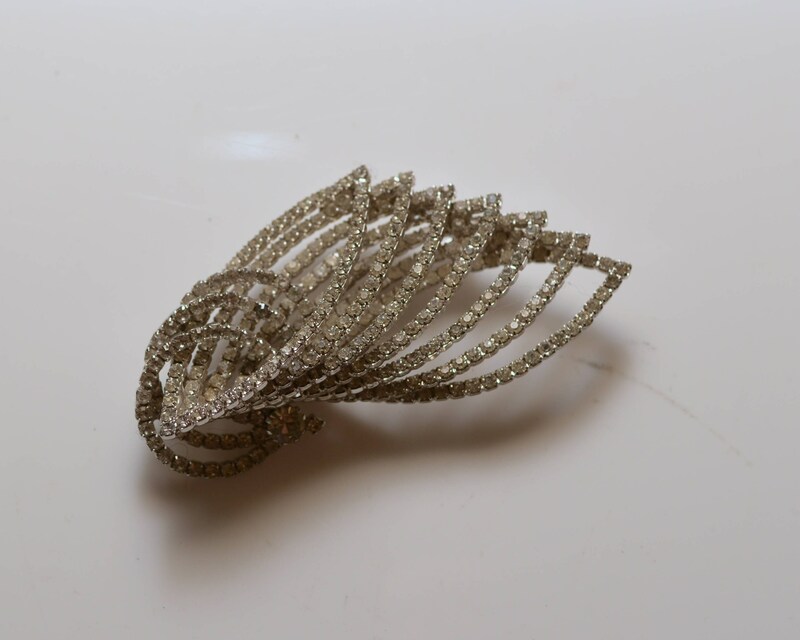 Great accent piece that really makes a statement.